There isn't a web site out there-- whether it be WhiteHouse.gov, IBM.com or the site for your local high school-- that isn't written in HTML. If you do any level of web development-- from editing pages on a Wordpress site to designing original pages from scratch, understanding and being able to code in HTML and CSS can give you a level of control, and power over your designs that you've never experienced before. This course helps you learn HTML and CSS (versions 4.01 and XHTML) as well as prepares you for the future with coverage of HTML5. In this course, designed, authored and hosted by master trainer Mark Lassoff, you will learn HTML and CSS, including everything you need to create a creative, quality and professional web site. Almost four hours of video instruction in punctuated lab exercises where you apply the very skills taught in the course. With an instructor available to answer your questions, and course with both wide coverage of HTML and CSS topics and deep discussion of those topics, there is no better or faster way to learn HTML and CSS for Beginners! When you've completed the course, become a certified developer by passing LearnToProgram's Certified HTML Developer exam. Certified developers are listed on the LearnToProgram web site and sent a printed certificate, digital badges and other materials relating to their certified status. LearnToProgram Media is a leading publisher of web, mobile, and game development courses that are used by over 500,000 people in 65 countries. 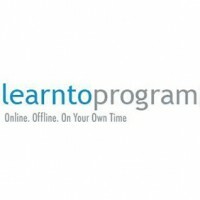 LearnToProgram's valuable network of technical resources includes content on YouTube, iTunes, and Roku, as well as books, free tutorials, and online courses. With a mission of “teaching the world to code" LearnToProgram instructors are teachers first and technical experts second. Their primary skill is relating complex technical information to nontechnical people learning web, mobile and game development. The entirely online, self-paced sales model allows students to learn at their own pace. With over 40 courses on the market, LearnToProgram offers students flexible programs in web development, mobile application development and game development. Currently the company's most popular online courses include Become a Certified Web Developer and 10 Apps in 10 Weeks. Learn the basics of HTML, and CSS to get started on your way to becoming a web developer, no prior experience needed! By the end of this course you'll understand how to write HTML, and CSS, and how to use these skills to build, modify and supplement the creation of your pages. definitely a fun filled beginning with a lot of great basic html and css tasks and design fundamentals. great job Mark! truly a wonderful course!!!!! Mark has a very effective teaching method. He takes you through the creation so you can see the code, then shows you what that code creates. He is very easy to listen to and follow along. If at the end you are stumped, you then have access to download his code. You can learn as much from correcting your own errors in coding as you can from his lectures.